While the ethics of releasing a follow-up to your last major smartphone after just four months is debatable, the OnePlus 6 presents itself as a significant upgrade to the OnePlus 5 and 5T, both in form as well as function. Here's everything you need to know about the latest from OnePlus. Dimensions: 6.13" x 2.97" x 0.31"
Rear camera sensor size: 1/2.6"
The details for the OnePlus 6's release on the official site are a little scattered, but we've compiled them all here for you. The OnePlus 6's purchase page currently reads "available in 5 days." Doing the math, that means the phone will be available to order starting May 22. 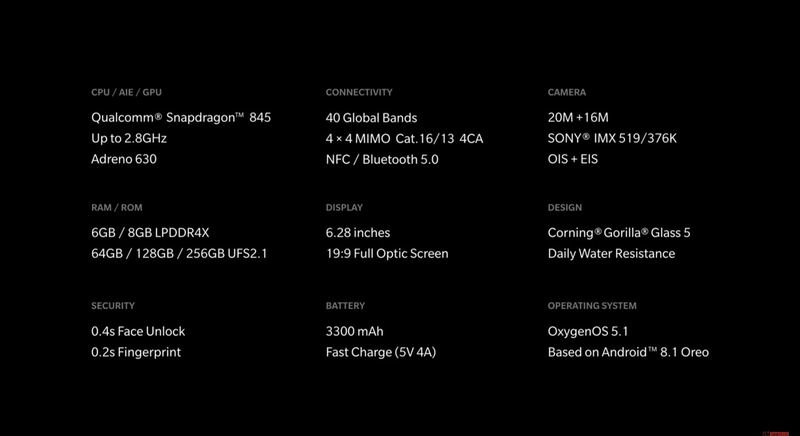 During the presentation, however, OnePlus announced the 6 would release June 5. Why this date isn't clear on OnePlus' official site can't be said for sure, but nevertheless — we can expect orders starting May 22 with an official release on June 5. Notch-ageddon is upon us, and OnePlus is no exception. While leaks and rumors all but confirmed the design, OnePlus has officially revealed the 6 in all its notchy-glory. We now know — the OnePlus 6, like much of the Android world, is following in the iPhone X's footsteps. The notch allows OnePlus to fit an impressive 6.28," 2280 x 1080, AMOLED 19:9 display on their latest flagship. That being said, some OnePlus fans were disappointed with the presence of a "chin," arguing that a notch should, at the very least, allow for a true full-screen display. OnePlus devices come with OxygenOS, which is OnePlus' Android skin. As far as skins go, it's fairly unobtrusive, so don't expect Samsung-level of interference here. OxygenOS 5.1 is based on Android 8.1 Oreo, so your OnePlus 6 will be up-to-date right out of the box. OnePlus put an emphasis on frequent updates in their OnePlus 6 presentation, so you can expect the company to avoid falling into the update-delays that many Android devices have to contend with. The OnePlus 6 is also one of the first non-Google phones compatible with Android P. If you're interested in trying out the upcoming Android update, you can sign up for the beta with the newest OnePlus. The OnePlus 6 now features a vertical camera system, which houses one Sony IMX 519 20 MP camera, and one Sony IMX 376K 16 MP camera. The cameras feature both optical image stabilization as well as electronic image stabilization. OnePlus will now have to compete with some impressive camera tech currently on the market, such as the dual aperture camera system found on the Galaxy S9. Whether the OnePlus 6's camera system holds up to the likes of Samsung, Google, or Apple is yet to be seen. OnePlus calls the specs on its latest smartphone some of the best we'll see this year, and they have a point — the OnePlus 6 features the latest Snapdragon 845 SoC, which the company claims reaches speeds of 2.8 GHz. That processor is coupled with the Adreno 630 GPU, which OnePlus touts as excellent for the latest intensive mobile games. 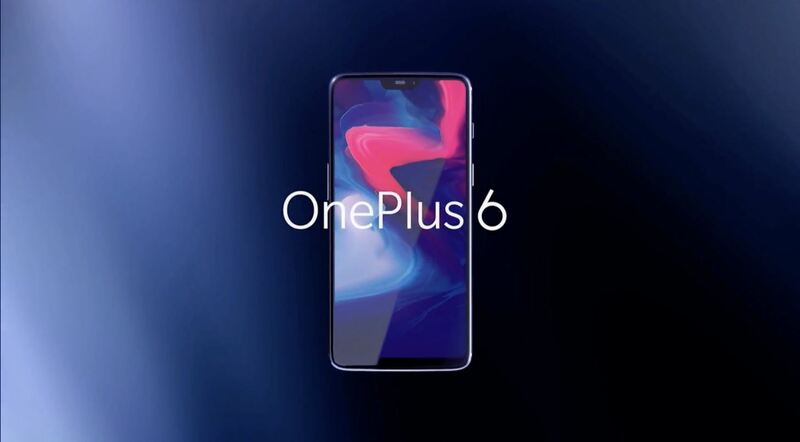 Users will be able to pick up a OnePlus 6 model at either 6 GB or 8 GB of RAM, as well as internal storages sizes of 64 GB, 128 GB, and 256 GB. 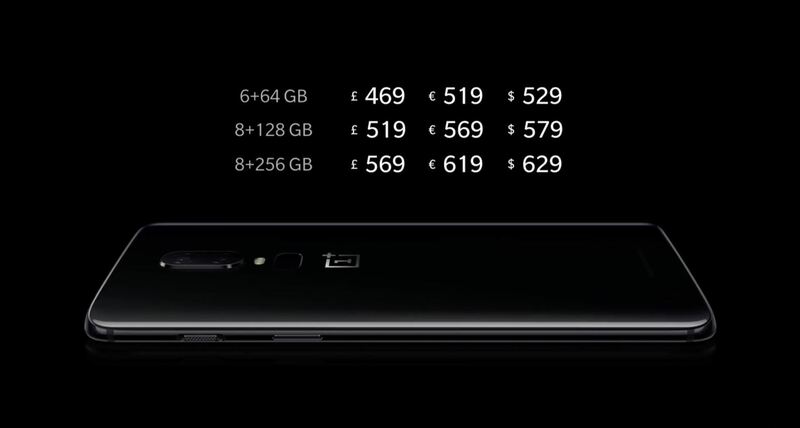 It's nice to see OnePlus include such a large storage option for users, as many Android devices now cap out at 64 GB. It also ships with a 3,300 mAh battery, which functions with OnePlus' signature Fast Charge technology. It's not the largest battery on the market, but Fast Charge helps ensure you don't need to plug-in too long before having enough juice. It seems ditching the headphone jack isn't on OnePlus radar, at least not this time around. The OnePlus 6 comes to users with its headphone jack intact. While many seem to have accepted the industry's trend of removing this port, OnePlus is giving users an extra reason to stick with their devices. It's here — the OnePlus 6 comes with water resistance. It won't be waterproofing, as OnePlus politely warns its customers not to go swimming with their phones. But for getting caught in the rain, users should be just fine. The company does not offer an IP rating for the device, however, which possibly means the device has no certification. Oddly, OnePlus opted not to include wireless charging with the 6, even with the introduction of a glass back. Because of that glass, rumors speculated that this would be OnePlus' year for wireless charging. Alas, those rumors are squandered. Although the cost of owning a OnePlus device has gone up, the company still prices them quite reasonably, compared to other flagship phones. You can pick up a OnePlus for as low as $529, with the higher end models running $579 and $629, respectively.